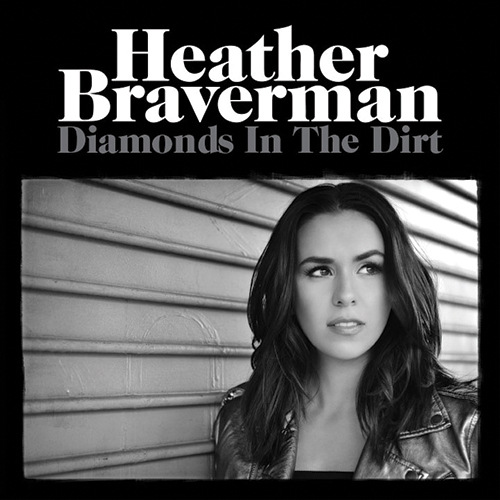 Heather Braverman’s first EP is a fresh blend of pop, R&B, and EDM with feel-good beats and bold lyrics. She describes it as vibe-y and rhythmic. Heather co-wrote all the songs, collaborating with various writers and producers all over Los Angeles. Each song offers a specific vignette and sound. “We Got it” is the go-to pulsing dance song and sing-along. “Diamonds in the Dirt,” the title song, is pretty, thoughtful, and introspective. It is about finding something beautiful in a complete mess, and Heather believes that can be applied to art and life in every way: Take the best of what is in front of you, believe in it, and it can be truly great.